Welcome to another lovely week, and to another lovely giveaway. It’s an extensive site, from bathroom suite packs, like the one below, where you can kit yourself out with all the essentials for the perfect new bathroom, to whirlpool baths, bathroom furniture, mirrors and cabinets and heated towel rails. All at really great prices too. With this prize, you would be able to treat yourself to some new bathroom furniture, or perhaps a new bathroom cabinet, or even put the money towards something of greater value and really give your bathroom a great new look. Then, take a look at bathandshower.com and leave a comment telling me what you would spend the prize money on. The prize can be used as part payment for a shopping basket of larger value, or as one payment at one time. The prize value cannot be split into smaller purchases. Entrants can also follow Love Chic Living on Twitter, follow Bath and Shower on Twitter, follow Bath and Shower on Facebook and subscribe to the Love Chic Living newsletter for extra entries. Individual comments must be left for all additional entries. The prize will be given direct from bathandshower.com in the form of an e-voucher. I have just had a new ensuite fitted so in desperate need of accessories! I would buy the Bridge Free Standing Towel Stand With 3 Sliding Towel Rails and the Bridge Free Standing Bathroom Butler! Follow @bathand_shower on Twitter do! I am subscribed to your newsletter thanks! She’s been saying she wants to get a new bathroom set for the past year so she’d be thrilled. We’re in dire need of a new shower door! When we moved into my current home I removed the bath and replaced it with a large shower. It is one of my biggest regrets, so I would spend the money on a double ended bath, but having a look, I can’t make up my mind which one! I would actual give the prize to our friends who are a little short of money at the minute, but in need of a new bathroom. Need a whole new bathroom so would put it towards something…maybe the new taps or sink unit. I need a whole bathroom but I LOVE your taps! I am following Love Chic Living and Bathand shower – and have signed up to newsletter! I’d buy one of the edwardian shower mixers because my partner and I have just bought our first house and realised when we moved in that both the shower fixtures are broke so we need new ones. I’d spend it on a new shower enclosure as we’re having an ensuite fitted in our loft very soon – loving the look of some of the offset quadrants and hoping we have space for a big one! I’d love an Alcona Back to Wall Toilet & Soft Close Seat and a Hampton 3 Door Mirror Cabinet 80cm in White. I love the Ruby Bath Shower Mixer set! We’re just about to refurbish our ensuite, and I love the Florence range – really contemporary, with gorgeous straight lines. I tweeted! 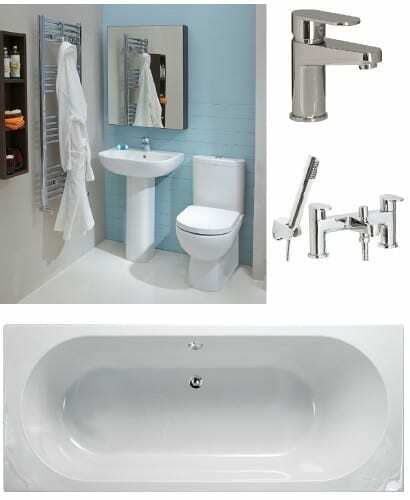 @happyhikerhilda If I won I’d pick something from the Clarice Range, a new basin and loo or more if I could afford it! I follow Bath and Shower on Facebook! I’m subscribed to your newsletter. Thanks! That should have been two replies, so this is the second posting for RNG means. I tweeted and I commented = 2 entries. I adore the Oslo Wenge range. I would choose the 85cm Oslo Wenge Vanity a Unit £249 if it is back in stock and if not then the Oslo Wenge 80cm Mirror £229 and buy the vanity unit out of my own money when they have more. We’re thinking about refreshing the main bathroom so probably a new bath. I’d use it for bathroom shelves! I’d spend it on a new loo! 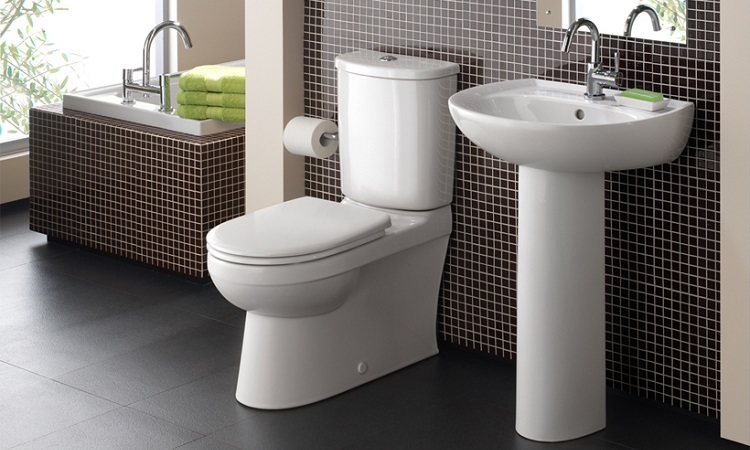 Absolutely definitely first on my list is a decent basin sharply followed by a lovely new toilet with modern clean lines and there are many to choose from with you! I’d love to get my spending hands on this website! I would buy one of the Thermostatic Shower Kits as we are wanting to install a shower soon. I would get a new heated towel radiator and some new accessories. Tweeted and followed both on twitter. Would love some storage for my bathroom and some great ideas on the website like under the sink storage especially the drawers that look part of the sink! I would buy this cabinet http://www.bathandshower.com/mirrors/bathroom-cabinets/stilo-double-door-mirror-cabinet-600-x-670.html and perhaps a new shower rail and curtain too. My shower could really do with an upgrade, so I love the REVIVE Range 1400 Wetroom Panel, I love that it’s made from easy clean glass as well as being really stylish. I would buy a shower – something like the Bedford shower Kit. There are 6 of us and we only have a bath!! It would be great!! I would love to win this – my bathroom is tired, dated and impractical and in major need of a makeover! I have followed and tweeted and now I have everything crossed! Liked and Shared on Facebook, retweeted on twitter. My bathroom is looking a little dated, so if I am successful in winning this competition, i would choose any of your bathroom accessories to brighten and modernise my bathroom. If I won I would spend it on the Nero Toilet and Wash Basin Set. The Oslo Oak Tall Storage Unit would be lovely. I would be grateful for ANYTHING from the range. Been waiting to have a shower put in for 15 years! Always wanted a heated towel rail so I think http://www.bathandshower.com/heated-towel-rails/traditional-heated-towel-rails/alannah-heated-towel-rail.html is the one for me! I’d spend it on a lovely new mirror. I would put the money towards some new sliding doors for our shower as much better than a curtain. I love the urban shower panels and we are hoping to buy a new house and thats one of the DIY jobs it needs sorting. If I was the lucky winner, I’d buy the Trend 60cm Vanity Unit – Toledo, fantastic range of vanity units to choose from btw. I’ve tweeted @fairyprincess31. If I won I would chose a new shower enclosure – love their ‘easy clean glass’! If I was lucky enough to win I would choose a new shower enclosure! Have tweeted + followed all. Would spend it on an oak vanity and bath panel for our new en suite which is currently being built. I am following Bath and Shower on Facebook and would spend it on a new vanity and bath panel for our new en suite currently being built! Following Bath and Shower on Facebook. Some new taps and the Elba walnut unit and basin. I would spend the prize money on accessories for my bathroom which I am about to have redecorated. Doing up a 1970’s bathroom and this would be perfect please. have followed and tweeted Bath and Shower Love Chic Living, have signed up to newsletter and I think I would go for a vanity unit or shelves to go under my bathroom sink…tiny space and struggling to decide. Bridge freestanding towel rail and butler. Although both showinga as out of stock. I hope you will be restocking. Would love the Olimpia Toilet and Wash Basin Set. Our downstairs Avacado suite is looking slightly dated now!! I would put it towards a new shower enclosure as mine is a bit leaky! A combination vanity unit would be nice to win. I am about to move house and I think I am going to need to put a new shower into my new house so I would choose the K2 Range 1200×900 Offset Quadrant shower enclosure. I would choose the REVIVE Range 1200 Slider with Side Panel. I’d go for the Oslo Walnut mirror. I would put the prize towards a new corner bath! If I won, I would choose a new shower kit as our shower doesn’t work and, in a family of 6, we really would save time (and water) if we didn’t all need baths. I would probably choose the Triston Thermostatic Shower Kit 1. I would love an illuminated mirror for my bathroom! I would choose the Eton shower kit. It looks lovely. I would put the money towards a heated towel rail. I have tweeted @mellysocks. I would like a curved chrome heated towel rail. Have subscribed to the love chic living newsletter. Since hubby dropped a tin f paint that hit the front of the toilet pan and made a big hole, guess what we need to replace…? I would buy one of the Triston thermostatic showers.